Here's some new music straight from the UK's seedy metal underbelly or... Woking to exact! I don't know too many metal bands that come from that part of England, so I think this is a first for the blog. "Cry Havoc!" is Gutlocker's latest release. I'm unsure if it's their debut or not as I can't seem to find much of their music online, apart from on their Soundcloud page and on Youtube. They played Bloodstock in 2016 and since then, they've supported Raging Speedhorn and Abhorrent Decimation amongst others. "Cry Havoc!" is officially released on April 20th and while I've surmised above that it's going to be a digital release, you'll just have to wait and see. 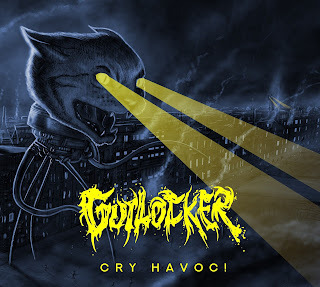 Gutlocker plays the kind of metal that would’ve made eighteen-year old me very happy. That’s not doing them a disservice though as EP opener Bitter Memory is heavy, groovy and the vocals bring to mind UK death/thrash in it’s rawest form. The guitars are buried by the drums ever so slightly on “Cry Havoc!” , which loses a little bit of momentum in place but they are still audible and delivered with class. No Burden is more of a progressive song, being slower and more off-kilter. Stuck features great drum work and fully backs up the comparisons to the likes of Pantera and Lamb Of God. The song is as groove-laden as their sound gets, with elements of doom and sludge mixed into the thrash. It’s great fun and isn’t too obscure sounding, so should appeal to a large chunk of metal fans. The EP closer and latest single Welcome To Fucktown is the perfect straight-to-the-point number to end on. It features a subtle dirge that makes it hard to turn off. 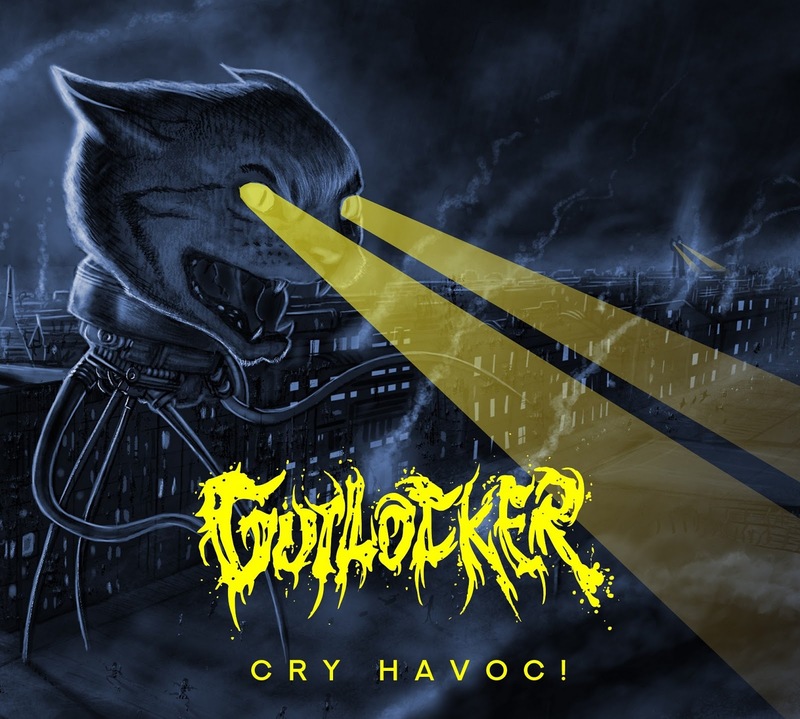 Gutlocker is a true band for the metalhead. They’ve got plenty of live experience and while they’re still figuring out their true sound, they’re still really enjoyable to listen too. Onwards and upwards for them then.